Enrique Granados is today best remembered for his Goyescas suite for solo piano, inspired by the art and times of Francisco de Goya. Granados first came under the spell of Goya in 1896 while viewing an exhibition of his works. Although the inspiration from Goya is readily acknowledged it is only two of the six pieces that make up Goyescas that can be related to specific works by the painter: No.1 Los requiebros (�The Flirtations�) and No.5 El amor y la muerte (�Love and Death�) were both inspired by etchings from the celebrated series of Caprichos. Another image by Goya, of four young girls playing with a life-sized puppet made of straw, formed the inspiration for El pelele (�The Straw Man�), which Granados composed after the suite and gave the subtitle �escena goyesca�. Performing these wonderfully sensuous works is the Dutch pianist Joop Celis, who here makes his first appearance on BIS. 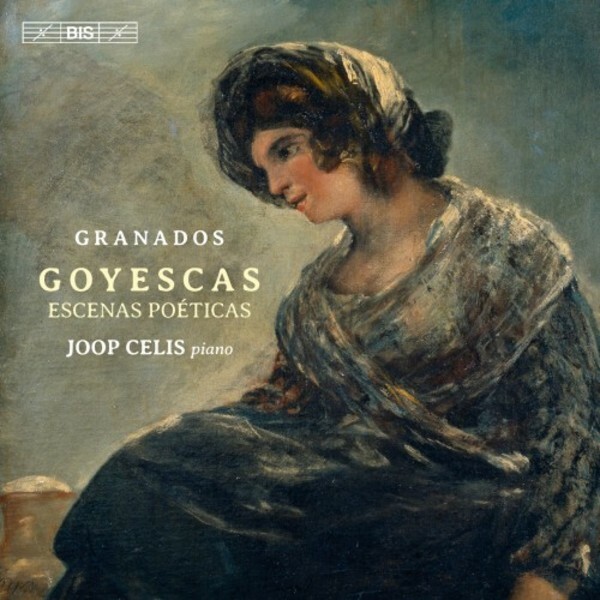 On this disc, Celis also includes Granados�s collection of seven �Poetic scenes� as well as the brief Intermezzo which Granados composed for his opera Goyescas, a work in one act otherwise based on the music from the suite for piano. The opera was premi�red in New York in 1916, and it was on his journey home to Spain that Granados died, when the ship he was travelling on was torpedoed in the English Channel. The edition used for this recording is the Urtext edition, supervised by Alicia de Larrocha and published by Editorial de M�sica Boileau. For this recording, Joop Celis has chosen to play his own Steinway D Grand Piano, from 1968. Between 1976 and 1985 this instrument was housed in a concert hall in Eindhoven (The Netherlands), where it was played by such musicians as Arthur Rubinstein and Alicia de Larrocha.